WHY SHOULD YOU CONSIDER BUYING A BRANDED TITLE VEHICLE? Salvage title doesn’t mean that the vehicle can’t be repaired. However, the insurance company chose to write off the vehicle to replace the vehicle for their customer. Branded Title Vehicles are sold at insurance company auctions. They are purchased by specialized body shops that are make and model specific. Before we put our cars online, we do several inspections. First, our owner hand picks all our vehicles and negotiates with the shops. Second, AutoZinc’s shop does an intense inspection of our vehicles. If we find any issues, the shops that we use are fast to make any additional repairs to insure that we sell the utmost quality vehicles. Third, We send all of our vehicles to an outside inspection (unbiased inspections) that thoroughly inspect our vehicles and post their results online for anyone to go see. And finally, all of our cars go through a state inspection process to make sure that our vehicles are front line ready to sell to our customers with peace of mind. At Autozinc.com, all of our vehicles are certified and have undergone a certified Bluestar 150 point inspection, as well as, state required safety and emission testing. Additionally, any vehicle purchased from us qualifies for an extended warranty. Can our customers get insurance of a branded title? The answer is absolutely YES! We have found that almost all insurance companies will offer full coverage insurance on our branded title vehicles. The title will show a Rebuilt/Restored title. We do inspections that most dealers don’t because of the type of vehicle we sell. You will drive home knowing that our vehicles are every bit as nice as any clean title vehicle. Did you know that a very large percentage of clean title cars offered for sale at any dealership has been in some kind of an accident? The difference between those cars with prior accidents and our vehicle is that you will save literally thousands of dollars and in most cases the reconditioning on our vehicles are much better than any clean title vehicles. Where does AutoZinc find our Cars? The owner of AutoZinc personally hand picks our cars. We have over a hundred specialized body shops that we work with that are make and model specific. We have a had years of good relationships with our shops that insure the best quality possible. The owner has no interest in growing into a large dealership. You might ask why? The simple answer is that we want to keep our quality of vehicles to a high standard. We don’t want to become so large that we can’t keep our quality in check. Can you find out what happened to make our vehicles a banded title? Good news, YES! We go out of our way to disclose everything we know about each vehicle we offer for sell. Sometimes we are able to get before pictures that we can share with our customers. For all you out of state customers, we are more than happy to share what we know about why our vehicles became a branded title. Do branded title carry a manufacture warranty? In almost every case, after the insurance company pays off their client’s vehicle and sells it through an insurance auction, the manufactures warranty becomes null and void once the title shows as a branded title. The good news is that AutoZinc has many options that you may take advantage of to provide you with a warranty that is covered in the continental United States and Canada. Please ask your salesman about the different options and prices. With any manufactures warranty, you have to go through a franchise dealer. The warranties that we offer can be used at any ASE certified mechanic or dealer which if very nice when you break down in an area that there might not be close to a franchise dealer. Do manufacture recalls apply to branded titled vehicles? You should be happy to know that manufacture recalls are covered. So, if you find out there was or if the vehicle has a new recall, the manufacture is still on the hook. Why purchase a branded vehicle from Autozinc? You can buy a newer car for less money, stretching your dollar. Our vehicles are as high of quality and just as safe as any clean titled used vehicles. And all of our vehicles go through an intense bluestare.com inspection and posted online for anyone to go see. Our branded titled vehicles can be financed and insured. Purchasing our vehicles will literally save you thousands of dollars from any clean title vehicle. You won’t lose as much purchasing a branded title verses a clean title vehicle because of the huge savings you will save. We pride ourselves in full transparency and have a great family of customers that have given us great reviews. What is the difference between salvage title vs. rebuilt title? Salvage title can mean many things. For example, a vehicle may become salvage title due to a thief, hail damage, collision or damage from water. Most insurance companies will not insure salvage title. Most financial institutions will not finance a salvage title. In many states, it is actually illegal to drive a vehicle with a salvage title. Once a salvage title vehicle has been properly repaired, it has to go through several inspections to become a rebuilt/restored title. AutoZinc makes sure that all of our vehicles not only go through extensive inspections and can become a rebuilt/restored vehicle. 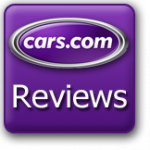 Take some time and click on FaceBook, Google and Cars.com on our home page and see what our customers say about us.